M & C Roofing, Inc.
Diamond Gutters & Remodeling, Inc.
All America Seamless Gutters, Inc. Comment: Gutter for a second story and front of a garage. Comment: It appears that the cutters are coming away from the house and with a hard rain, the rain is going down between the roof and gutter. I now have a water that has come into the master bedroom and closet. Comment: Gutters overflow enven in moderate rains. Comment: Estimate for gutter repair needed. Comment: The gutter on the second story roof has come loose on one-side and needs to be reconnected back to the home. Loganville Gutter Cleaning & Repair Services are rated 4.71 out of 5 based on 1,461 reviews of 23 pros. 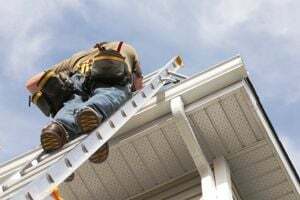 Not Looking for Gutters Contractors in Loganville, GA?